See how it is like a little blimp?? AIR BUBBLES! 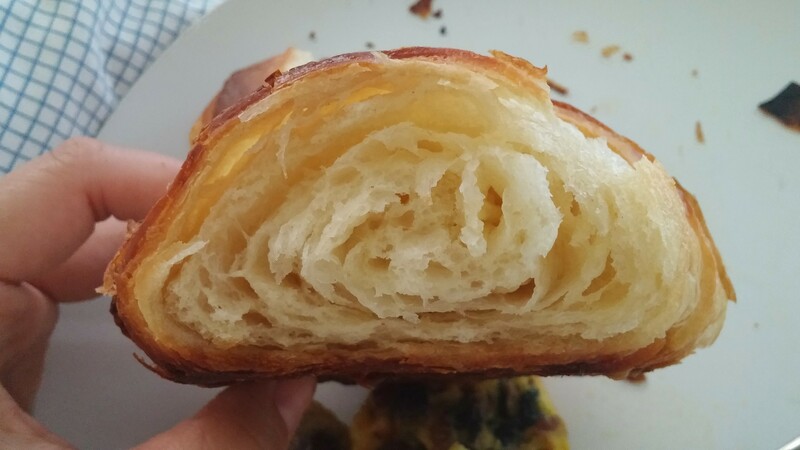 I found some recipes that adapted from the Tartine recipe, and both of them resulted in some super dense croissants. 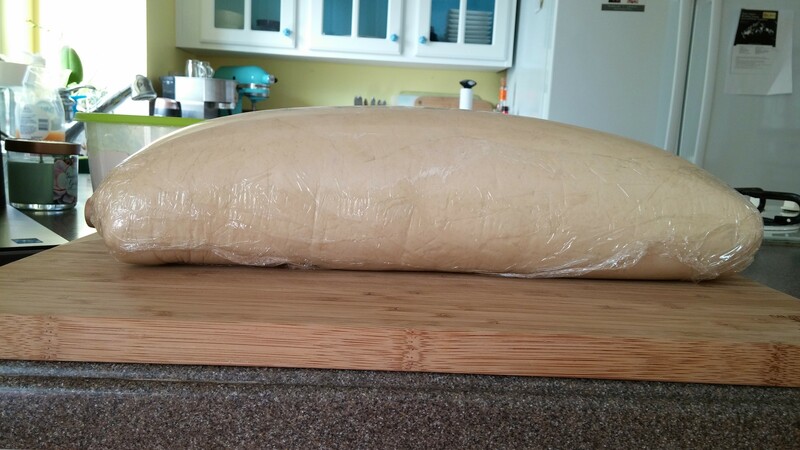 I further adapted the adaptation so the dough would look airy instead of like a medicine ball of butter. 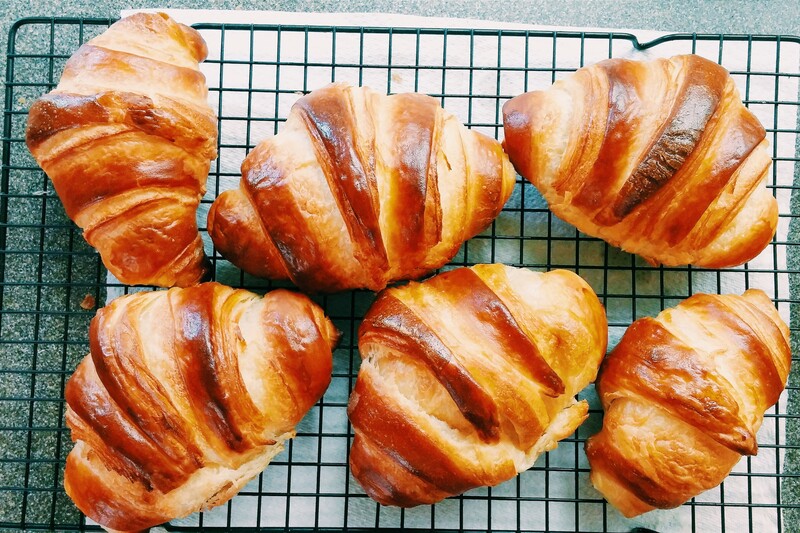 Lesson: Follow your instict…go with your gut…add more milk. Pretty good for my 2nd try! 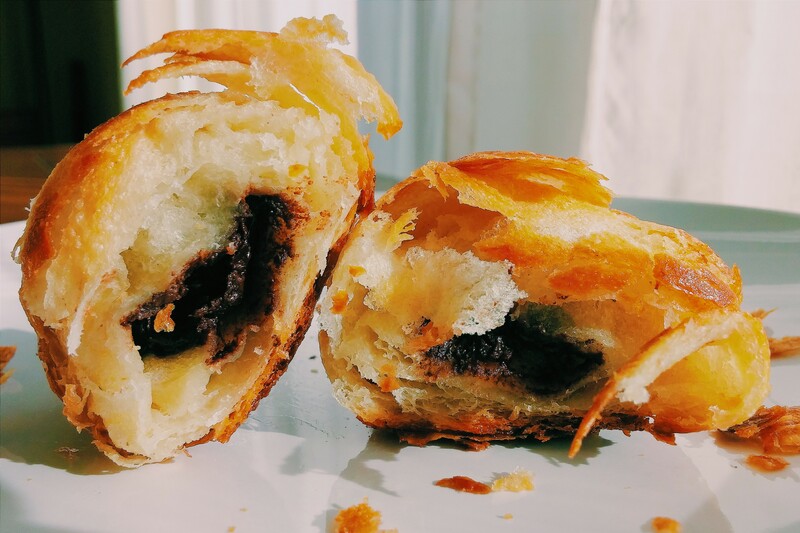 Then when you’re confident the dough is airy, soft, and doughy enough…be brave and put some chocolate chips in the croissants.